Do you live in Chicago, Boston, Atlanta, Dallas, Los Angeles, Orange County, CA, Portland, San Francisco, New York City, Washington D.C. or Seattle? You can sign up for free fitness classes that are held at the Niketown store. I heard about the workouts from a girlfriend. She and her boyfriend take classes at least twice a week. They love the workouts but did state you must sign up early because most of the time, classes fill up very fast. I was looking at the schedule in Chicago and I'm interested in taking the NTC HIT and NTC Barre 30 classes. NTC HIT: Join us for a 45-minute Nike+ Training Club (NTC) workout. NTC is a sport-inspired, full body workout designed for all fitness levels. Guided by an expert trainer, you'll squat, lunge, and move your way through this metabolic workout, alternating between period of low- and high-intensity. I don't know when they open the sign up list but I heard it is at 2:00pm the day before the class is given. I think I will give it a try real soon. Do you live in one of the above cities? Have you tried workouts at Niketown? Oh Wow, they need to bring that up to Memphis, TN!!! How neat!!! 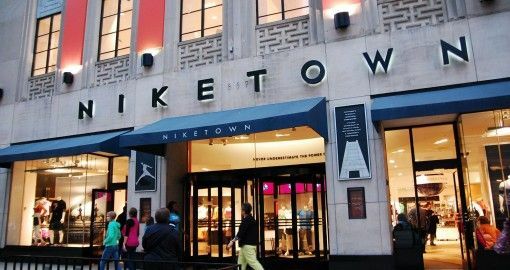 I guess you have to have a Niketown in your city. I hear that it is super hard to get in them now in Chicago. Thinking for best bodybuilding supplement?? Then check it out, Here is the great reviews about it. They will not have the same effect as lifting heavy weights, but your goal with this workout is to recover and not to increase maximal fitness attributes find out here now.